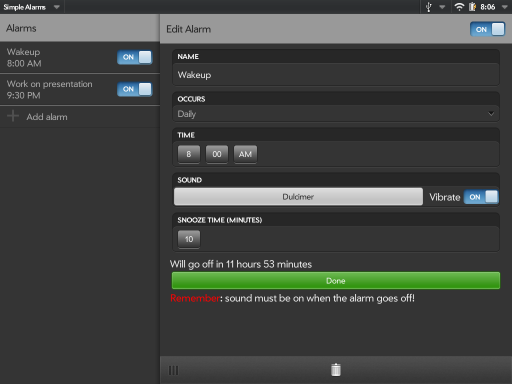 Simple Alarms is the easiest way to set alarms on the HP TouchPad! 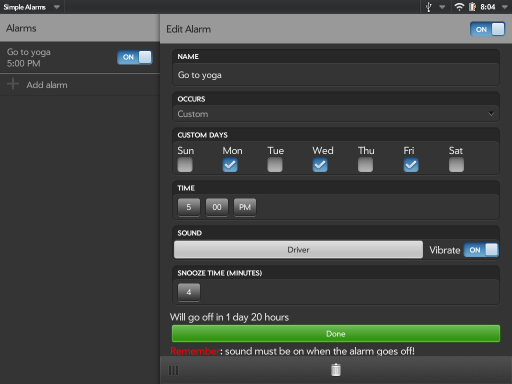 You can configure the music that plays, the snooze time, and whether it goes off once, every day, just the weekdays or weekends, or which days in particular. 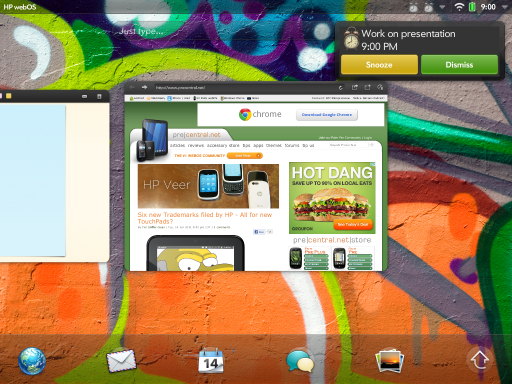 Download the IPK for TouchPad here. If you have problems or recommendations, feel free to email me at greg.stoll@gmail.com.